The Development of a Website Prototype to Publicize the Local Food Cultural Tourist Attraction in Narathiwat. 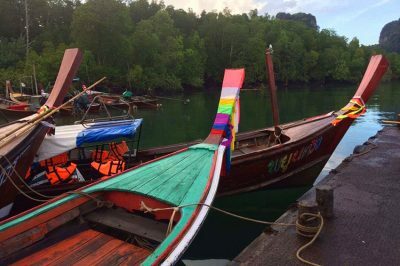 The purpose of the research was develop quality of a website prototype to publicize the local food Cultural Tourist Attraction in Narathiwat and the study of user’s satisfaction after visited this website. For the sample in this studied were the 3 specialist in the Website Design and Development and 30 users who were visited website by completed satisfaction in online questionnaire survey. Then, data were analyzed by the statistic tools such as the percentage, the arithmetic mean and the Standard Deviation. The result found that The Development of a Website Prototype to Publicize the Local Food Cultural Tourist Attraction in Narathiwat had the best quality of contents includes image, website and website design from assessed by the specialist and user’s satisfaction was the best satisfaction level includes image , content , character , website and website design and benefit.